Advantexe is talent development organization that designs & delivers learning journeys in Business Acumen, Business Leadership, & Sales. We utilize interactive business simulations as the catalyst for learning, skill development, and change. At Advantexe Learning Solutions, we help organizations around the world to improve their business performance. We take the mystery and complexity out of business. Every employee needs the skills and tools to understand the systems of business while being able to measure the effectiveness of their decision making through financial performance. That's were we help. We are an award-winning, global training and performance improvement organization specializing in Business Acumen, Business Leadership, and Strategic Business Selling incorporating computer-based business simulations as the catalyst for learning. We partner with you to design, develop, and deliver customized training solutions that build the skills your employees, managers, and leaders need to execute your business strategy and achieve improved business results. 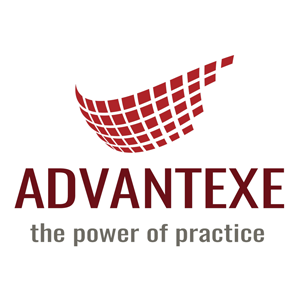 Advantexe provides your organization with integrated learning journeys that incorporate adult learning methodologies and a learn-by-doing approach to ensure a learning environment that maximizes your return on training investment. Our focus on experiential learning through business simulations enhances retention and encourages immediate real-world application in a risk-free environment. Discover the Solutions Advantexe Learning Solutions has to offer.